DigiCore Australia is best known for supplying In Vehicle Monitoring Systems, better known to the mining and ancillary industries as IVMS/ GPS Tracking. 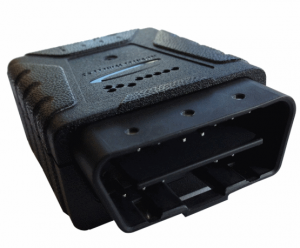 Additional to the supply of IVMS/ GPS Tracking, DigiCore Australia has launched their Plug & Play vehicle monitoring system. Although the Plug & Play vehicle monitoring system does not replace IVMS/ GPS Tracking, it is a great supplement to IVMS/ GPS Tracking where the full range of features are not required. The DigiCore Australia Plug & Play solution includes similar driver behaviour type data to that of the traditional IVMS/ GPS Tracking, but excludes specific functionality such as driver ID, seatbelt usage and handbrake usage. That being said, the Plug & Play solution still includes powerful geofencing functionality – similar to the IVMS/ GPS Tracking system. An IVMS/ GPS Tracking system requires installation into a vehicle and due to the location of most operators, a major contributor to the cost of IVMS/ GPS Tracking was installing it. With the Plug & Play solutions, this problem is overcome as it is plugged directly into the vehicle’s diagnostics socket – also known as the OBDII port. While IVMS/ GPS Tracking is focused more towards larger enterprise and ancillary industries, the Plug & Play unit is in reach of all market segments due to a lower cost and ease of installation. DigiCore Australia reports that some of their IVMS/ GPS Tracking customers have already started implementing it into their fleets where full spec IVMS/ GPS Tracking isn’t required. A main feature that is worth mentioning of DigiCore Australia’s Plug & Play unit includes FBT reports. When used with the Ctrack Mobi software, trips can easily be marked as business or private and comments per trip can be added. For any enquiries on DigiCore Australia’s IVMS/ GPS Tracking or Plug & Play solutions, please contact us on sales@digicore-australia.com.au. This entry was posted in Hardware, Press Releases. Bookmark the permalink.